The experience you can count on. For 50 years the professionals at Weber & Grahn have provided unequaled repairs, maintenance, and installations of the latest technologies designed to provide the ultimate in comfort and convenience to your family. As technologies advance, our NATE certified technicians engage in continuing education, ensuring they always have the necessary skill to provide excellence in every service. Including geothermal heat pump repair and installation. Should you feel as if your geothermal heat pump is not cooling, heating your home adequately or if you realize the pump’s compressor is no longer functioning, call us. Our certified and highly trained technicians know what it takes to get your heat pump up and running in no time, ensuring you enjoy peak efficiency and operation as quickly as possible. Our computerized service vans are stocked with the most commonly needed parts and ready to serve you. Bosch * Florida Heat Pump * Climate Master * Bryant * Comfort Air * Trane * Lennox * Rheem * …and more. Sometimes it’s more cost efficient to replace rather than repair a geothermal heat pump. Here’s the good news: Weber & Grahn can handle your replacements. The same great service by the same talented, certified technicians you know and trust are available if your geothermal heat pump needs replacing. 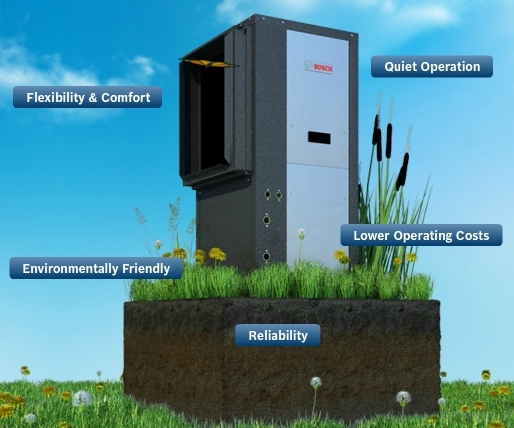 Of course, Weber & Grahn installs the highest quality geothermal heat pumps from manufacturers with a proven history of dependable, durable service. Since we hold both Suffolk County Master Electrician and Plumbing licenses, it offers a peace of mind you won’t find with many other service providers. That’s why even our peers refer to Weber & Grahn as the Gold Standard in customer service.